Listen to music together like you're in the same place. 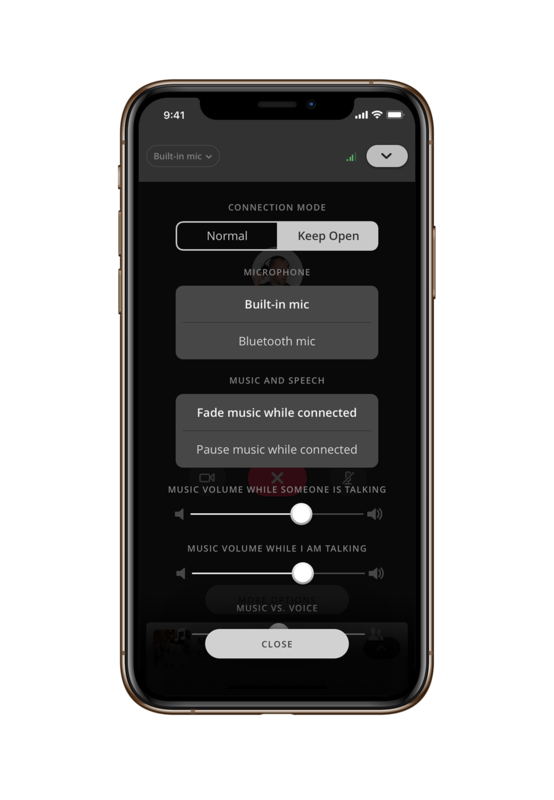 Unlike other listen together parties, people can actually talk, thanks to voice detection and automatic volume adjustment. 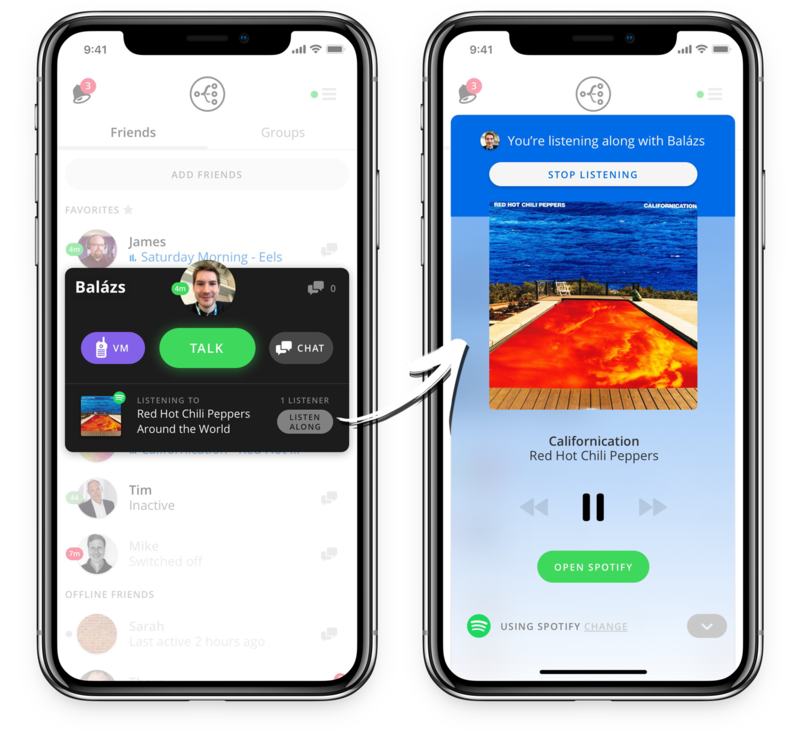 You can listen to your own music or join friends to listen in sync. Let your friends drop in or start a music group and take turns being the DJ. Quickly switch between view and sorting modes, according to your current preference. 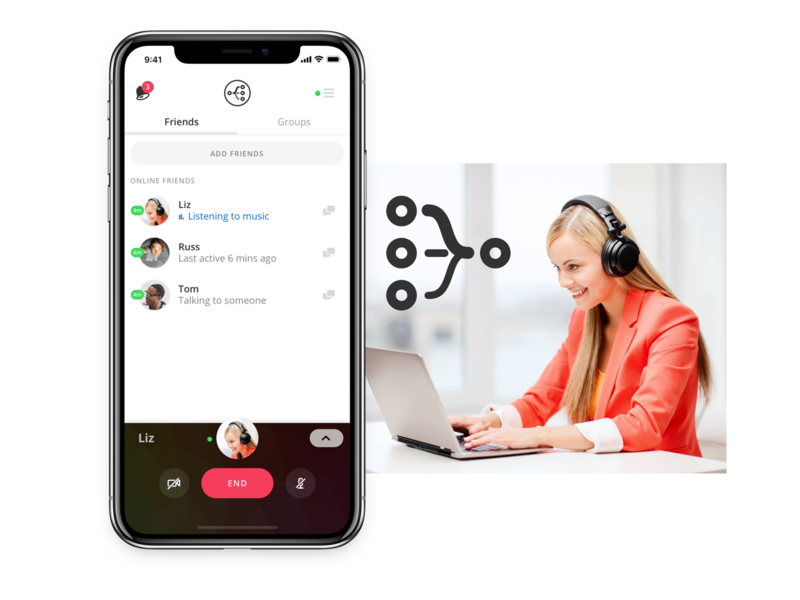 Keep video connections running without the constant noise thanks to voice detection. Keep your music running and watch the volume auto-adjust when someone starts talking. These channels may include music, video, or ambient sounds (picked up by your device microphone). Listen to your own music or synchronize with friends. Either way the voice line stays open so you can feel like you're together.